Dimensions: 4"L x 2.25"W x 0.87"
Your beach or destination themed wedding is incomplete without these ceramic sand dollar bottle stoppers! 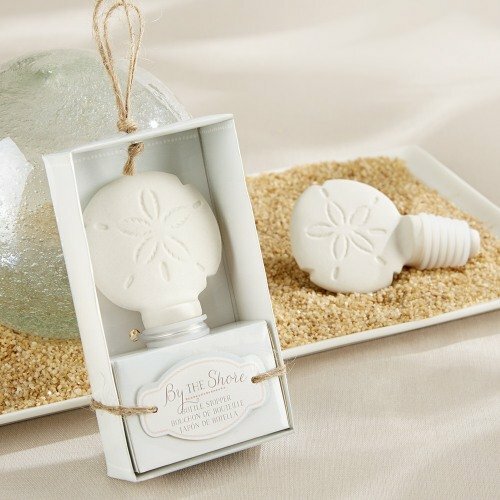 These sleek sand dollar shaped bottle stoppers come individually packaged in a smart, ready-to-gift package. Hand out as favors or use at your event to perfectly complement your nautical theme.